Acura Pickering | Blog | The Wait is Over… The 2017 Acura NSX is Finally Here! The Wait is Over… The 2017 Acura NSX is Finally Here! You now have permission to awaken from your dream about the all-new Acura NSX because it has finally arrived! Merging a plethora of technical elements with a superbly thrilling experience, the 2017 NSX is the supercar you have always dreamed of and more. This NSX was designed with an ultra-rigid frame and significant weight reduction, a sport-hybrid power unit that features a mid-mounted DOHC V6 with twin turbochargers coupled to a 9-speed DCT and supported by a rear direct-drive electric motor system for a total output of 573 horsepower. This beast of a supercar drives with impulse-quick handling via SH-AWD combined with form and function for everyday use. Some may question whether Acura should even have this high-performance supercar in their lineup, given the absence of their flagship Integra sportscar. 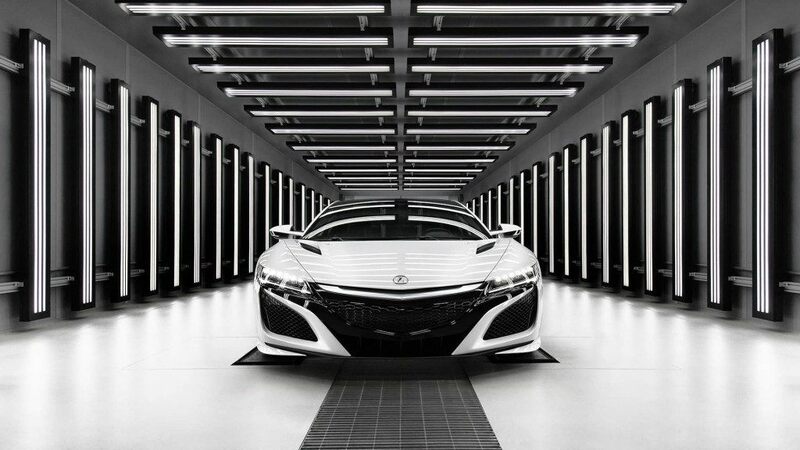 However, when it comes to precision crafted driving, Acura has hit the nail on the head. In the present day, it’s obviously more important for Acura to rub shoulders with the upper echelon of supercar stardom and save rebooting their entry-level sports cruiser for another time. And we couldn’t be happier at Acura Pickering for the latest generation NSX to finally christen our showroom. When it comes to style, Acura spared no flair, while leaving out the traditional flamboyance of Italian-made models, as well as the out of this world futuristic appeal of BMW’s supercar design. Acura has opted for a more traditional contemporary look of optical angles and curves. Supercar enthusiasts’ hearts are sure to start beating with the Sport Plus and Track driving modes. For everyday commutes, the NSX comes with Quiet and Sport mode for a total of four distinct driving experiences. Each mode gives the driver a unique perspective on the handling and acceleration of the 2017 NSX. Our overall impression on this great piece of innovative vehicular mastery is a smooth, comfortable and quiet ride that almost disguises itself as a something other than a supercar. And it would be well-hidden, indeed, if it weren’t for its apparent “stop in mid-step” looks that scream high-end motoring. Come by Acura Pickering today and check out the 2017 NSX in our showroom!